Continually evolving solutions are designed to drive digital expectations into the next generation of production printing. 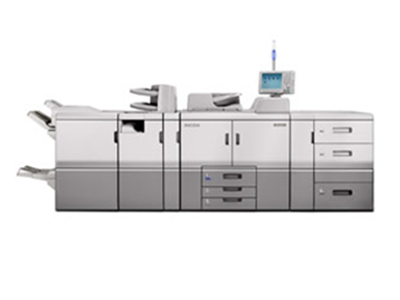 That’s why you’ll find Ricoh Pro 8110S mono production printer offers exceptional reliability along with outstanding image quality and paper handling. It results in greater productivity and opens up new opportunities for revenue – just what you need in this highly competitive environment. By adopting a London Copiers service agreement – the worries related to printing and document management can be removed. With copy costs assigned to machine usage we are able to supply parts, labour and consumables hassle-free. Let us manage your print system so you don’t have to. One of our staff will be in contact shortly after placing an order to discuss and explain our service agreement in more detail.